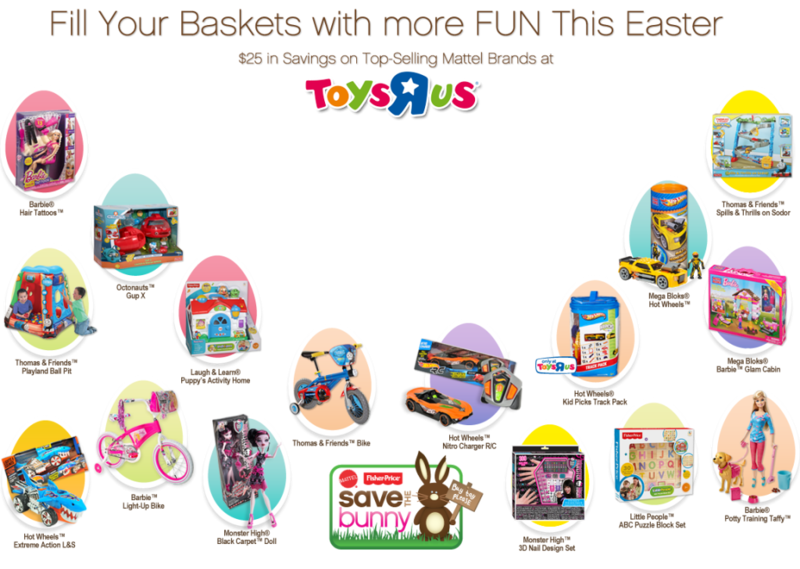 Toys R Us just released $25 worth of coupons to help you “fill the Easter basket.” Click HERE for a PDF version (these can also be scanned right from your Smartphone). And…. This entry was posted in Coupon and tagged Coupons, Toys R Us. Bookmark the permalink.